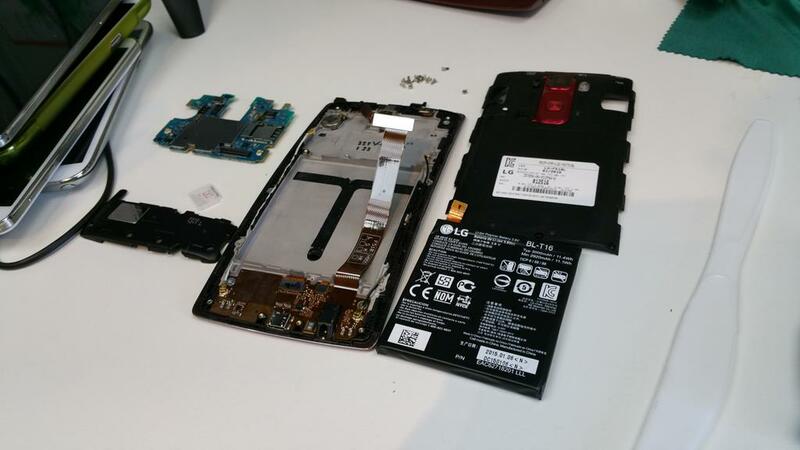 How to Disassemble LG G Flex 2! The other day, my micro-SIM card (which is actually a nano-SIM with a micro-SIM adapter) got stuck on my G Flex 2. Rather than forcing the issue, I decided to disassemble my LG G Flex 2, perhaps learn about the phone’s internal’s along the way. 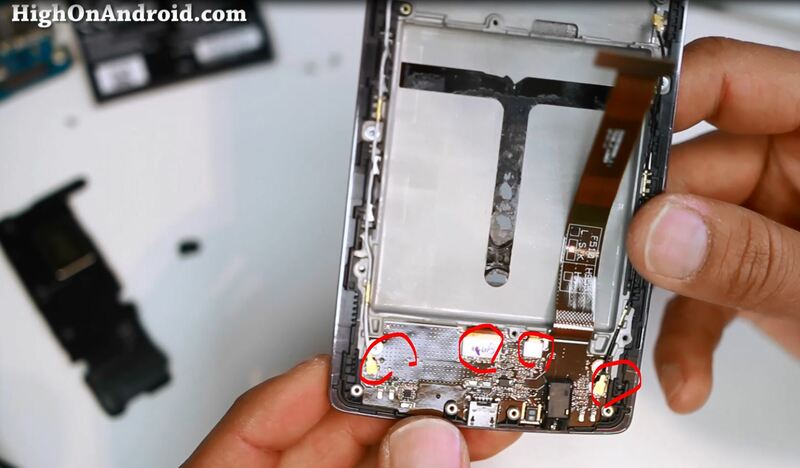 Well, the process is actually very easy to do, and the G Flex 2 is certainly one of the easiest phones to disassemble and repair. That is rather surprising as I initially thought curved screens may be harder than non-curved phones. Whether you need to replace the screen, camera, or any other broken parts, LG G Flex 2 is the easiest smartphone to disassemble period. First, you will need a #00 screw driver, you can get this on Amazon or your local hardware store. 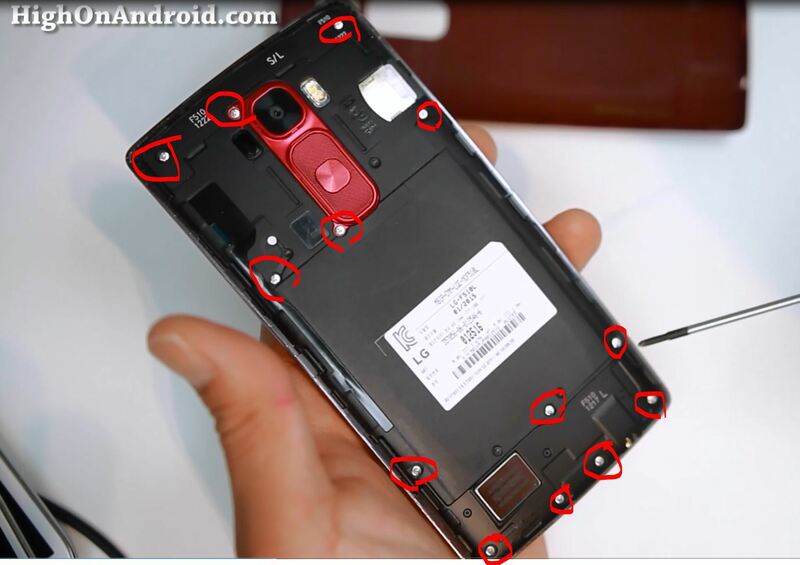 Second, we are going to unscrew all of the visible screws on the back of the phone. Make sure ALL of the screws are unscrewed. 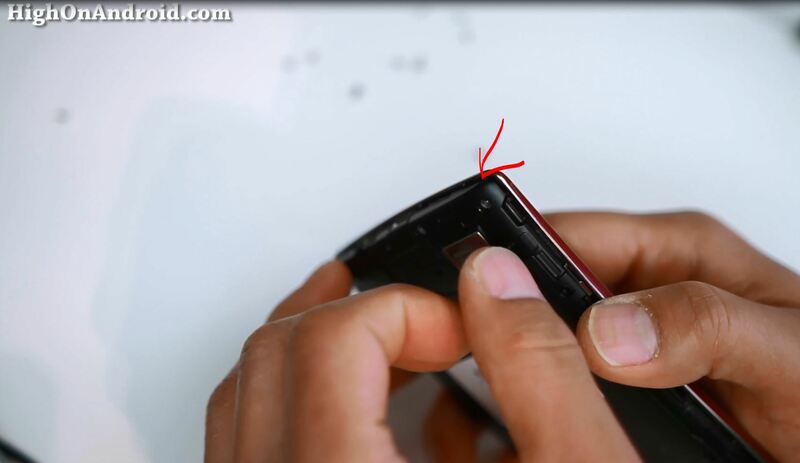 Third, start at the bottom of the phone and you should be able to pull out the bottom slightly, making a gap. 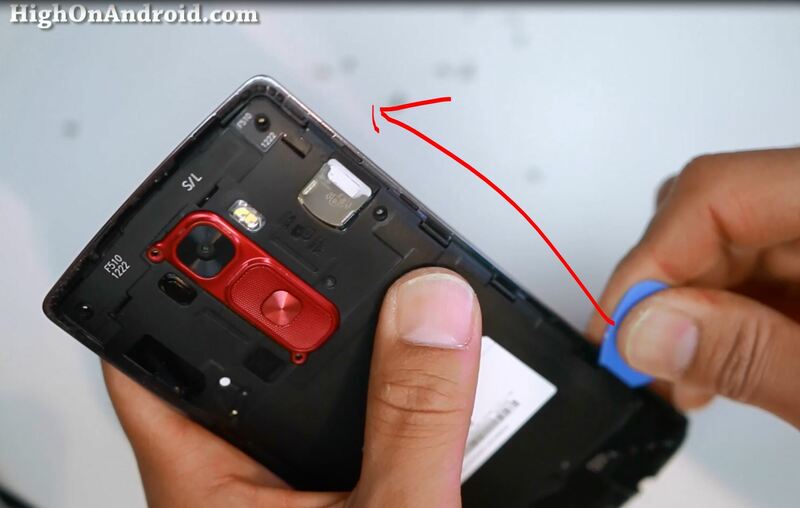 Use a plastic tool to slide it across the gap all the way around the phone. The bottom cover should pull out first. This bottom cover contains your phone speakers. 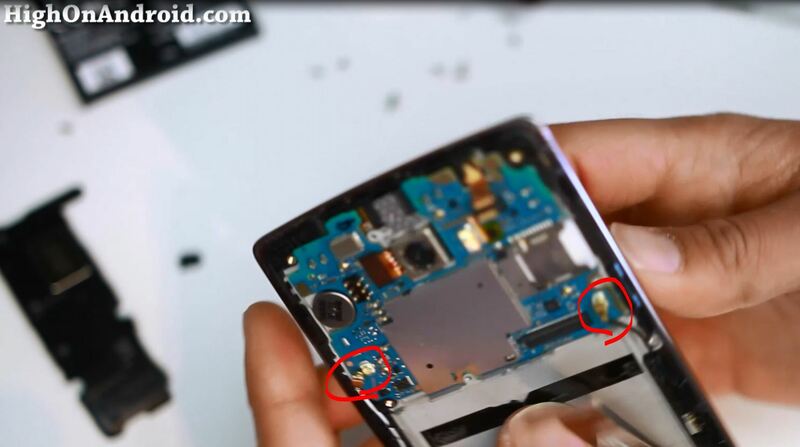 If your phone speakers ever break, simply replace this part. The main back cover should eventually pull off easily and Boomshakalaka! 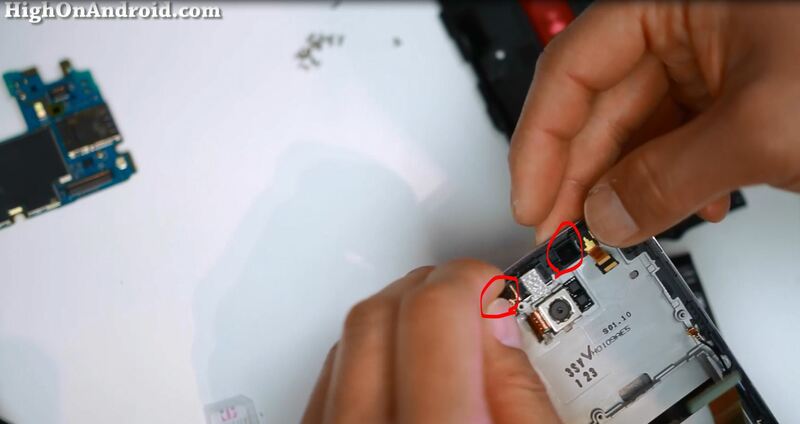 Fourth, to pull the battery out, undue the USB flex connector and the battery flex connector. 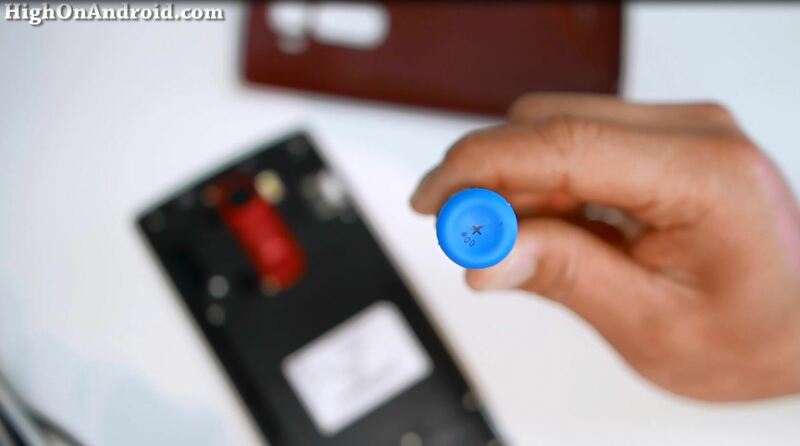 Use a plastic knife to slide under the battery and it should pop off. 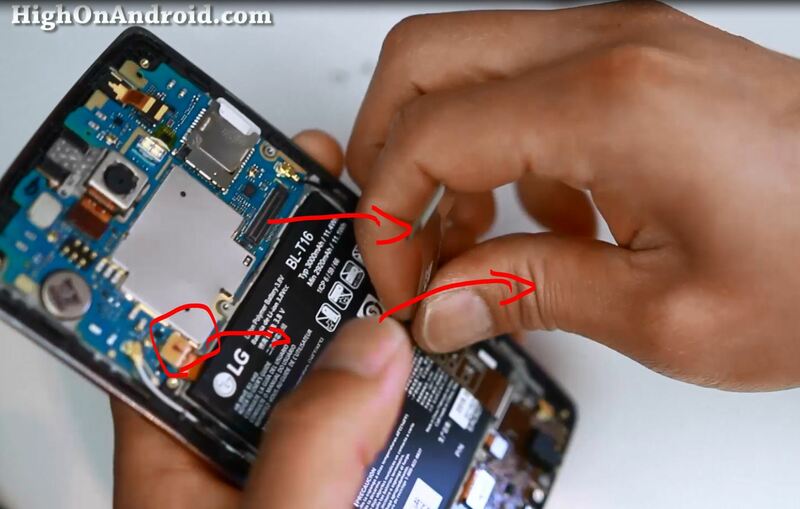 I have no idea why they didn’t use removable battery. 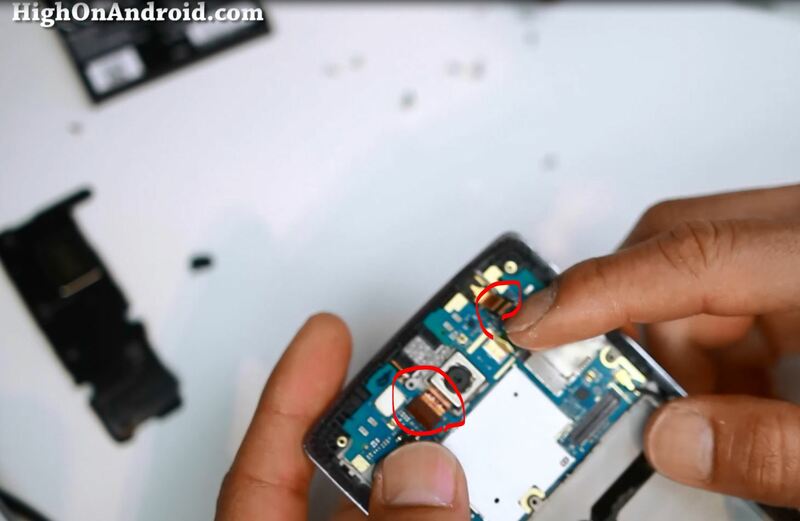 Fifth, to pull the motherboard out, simply undue the flex connectors for the front and back camera. Also, undue the two antenna cables. After that, the motherboard just slips out pretty easily like butter. 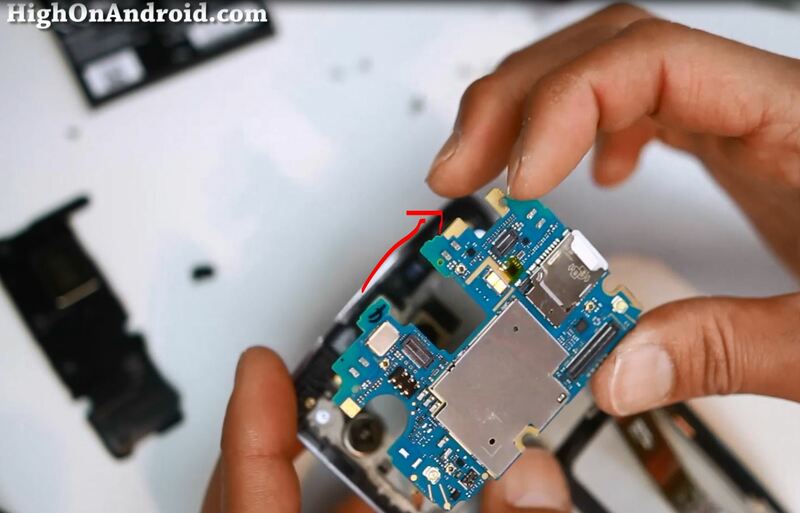 If you ever break the micro-USB port, you can easily swap out with a new USB board at the bottom of the phone. Simply undue the LCD/touchscreen cables and the USB board should pop out easily. Upon getting the motherboard out, I was finally able to pull out my micro-SIM card out by pushing a paper clip from the opposite side, yes! 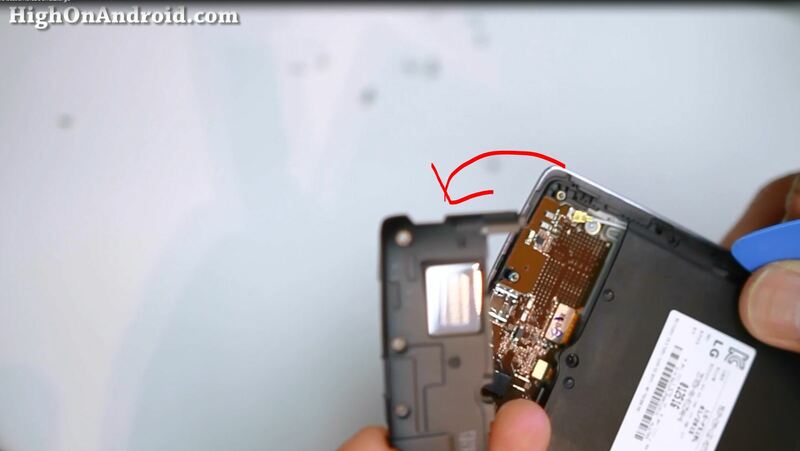 To re-assemble your G Flex 2, simply go backwards. front/back camera, LCD and touchscreen. Once that’s done, simply put the screws back on and you should have a fully-reassembled LG G Flex 2 working in perfect condition again, that’s it! 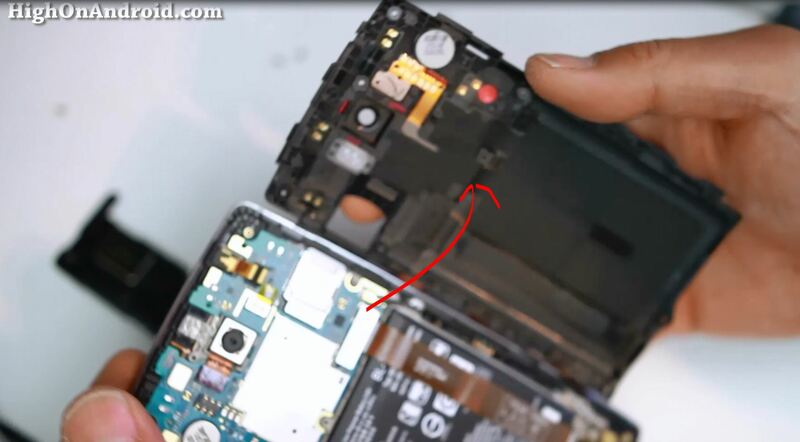 And I did find out that the newer Samsung phones like Note 4 has better micro-SIM slot as there’s a way to push your micro-SIM out. Overall, this is an easy fix that anyone can do. Although I am not 100% satisfied with LG G Flex 2’s performance so far, I am very satisfied on its repairable abilities. If I buy a spare battery in case of emergency do you think it would be easy to replace? Thank you! 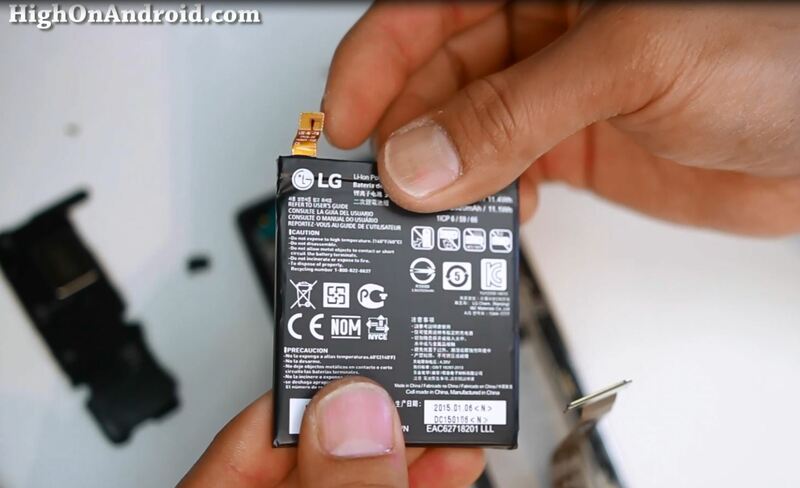 I need to replace the battery in my G Flex 2 and your photos are an excellent guide! Next story Fastest Micro SD Card Shootout! – Samsung vs. Sony vs. SanDisk! Previous story G-Boom Review – Best Bluetooth Speaker Under $100!